The girl-on-the-go’s best friend! 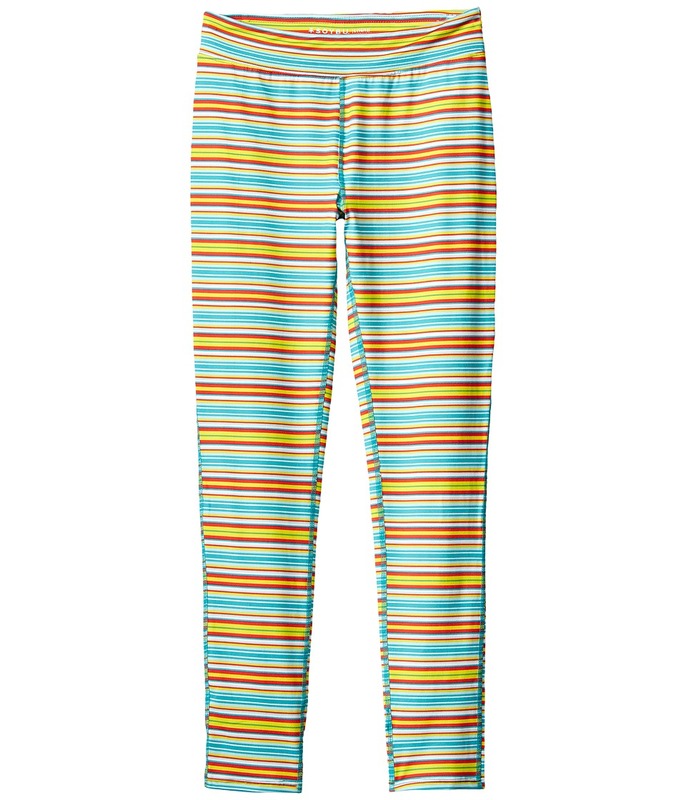 ; Stretch, breathable polyester leggings fit snugly and help to wick away moisture. ; Wrinkle resistant and quick drying fabrication. ; Allover printed design add a bold pop of color. ; Tone-on-tone topstitching increases comfort and reduces chafing. ; Banded waistline provides all-day comfort. ; Tapered legs at ankle. ; 88% polyester, 12% spandex. ; Machine wash cold, dry flat. ; Imported. Measurements: ; Waist Measurement: 22 in ; Outseam: 33 in ; Inseam: 24 in ; Front Rise: 6 1 2 in ; Back Rise: 9 1 2 in ; Leg Opening: 9 in ; Product measurements were taken using size LG (10-12 Big Kids). Please note that measurements may vary by size.